Unlock Sony Ericsson Xperia Ion - Safe IMEI Unlocking Codes for You! Unlock Sony Xperia Ion Handset! In case your Xperia Ion doesn't ask for the code and there is no designated field to enter it, please DON'T PLACE ANY ORDER, contact us first for support. Need getting your Xperia Ion unlocked? At SafeUnlockCode, we can help you to get your handset unlocked for a price a whole lot cheaper than prices straight from mobile networks, and it’s a whole lot easier too! It’s also incredibly quick to do. Once you have your code, it won’t take more than two minutes! 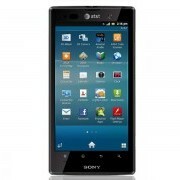 Whether you want to use your Xperia Ion on AT&T, Sprint, O2, Vodafone, Bell or any other mobile network, being unlocked will give you the ability to do so, and unlocking through a mobile network may cost you $50 or more! There’s no reason not to unlock with us! If you want to unlock a different phone, you can check our list here. Find your IMEI - This can be easily found by dialing *#06# or by looking at the sticker found under your Xperia Ion’s battery. We’ll need the first 15 digits of this code. Tell us where your phone lives- Which country did you purchase your phone in? What network - We’ll also need to know which network your Xperia Ion is locked to. Note - We cannot refund you if you mis-type this information! Please make sure you enter it in correctly, especially the IMEI number. This is because unfortunately we support the cost of each IMEI that is submitted as an order. The final step, although it’s not 100% needed, we do highly advise you to take it. This step involves finding out whether your phone is hardlocked or not. When hardlocked, your phone cannot be unlocked, and is usually the result of too many failed unlock attempts. To find out if your Xperia Ion is hardlocked, enter a new SIM (differing to the network you are locked to) into your handset and power it on. Then dial *#*#7378423#*#* or press Menu Back Back Menu Back Menu Menu Back. If the number beside network is a ‘0’ you are hardlocked and are services CAN NOT help you. Any other number represents the amount of unlock attempts you have left, and you are good to carry on unlocking. How to Unlock Sony Xperia Ion Phone - Tutorial! Follow these steps to get your Xperia Ion unlocked and ready to use on any network! We’ll also need your email address so we can send you the unlock code. Next, check for pricing and availability, and then move onto checkout. - Find the unlock code in the email we sent you. - Insert a SIM card different to the network provider you are locked to. - Turn on your Xperia Ion and wait for it to boot up. - A screen should now appear asking for an unlock code, enter your code here to become unlocked. If you are having difficulties with this process, or can’t see the unlock screen, contact us. Please help me unlock my phone from nTelos USA. Is refund available if the code wont work in my handseT? can you assist me anytime? are you able to unlock Xperia Ion from Italy Blu? Hi Charlie! Yes, we can help you to unlock your device, just please make sure your phone has enough unlock attempts and it prompts for an unlock code. Thank you! I want to unlock my Xperia Ion. do you have code s available? Its from Romania Orange? Can you help me with my Xperia Ion from Austria Orange?